Magic Beans toy store in Fairfield in 2016. Several weeks ago, I heard First Selectman Michael Tetreau on WICC Radio encouraging consumers to shop local and support our town merchants. I couldn’t agree more and also applaud the efforts of Fairfield Director of Community and Economic Development Mark Barnhart and Chamber of Commerce President Beverly Balaz to make local buying happen with Shop and Stroll evenings and other town events that encourage shoppers to frequent our local merchants. What is so appealing about downtown Fairfield is that the area has always looked like something out of a picture postcard. And every holiday season the colorful lights and decorations enhance the image in the post card and put shoppers in a buying mood. For this year’s retail season, downtown has already put on its usual festive face. Good friends of ours, who were strongly considering a move to another town closer to New York many years ago, shared with us that they had decided to stay right in the area and build a house because no town they visited could replicate what Fairfield offered. They said that Fairfield truly has something very special, almost magical. I couldn’t agree more. Fairfield has always had a lot to offer in the way of retail. As long-time residents, my wife and I have some wonderful memories of downtown shopping and particularly the Fairfield Store, which truly anchored the town’s retail market for so many years. I’ll never forget when we first moved here and how taken we were with the wonderful stores and the Community Theater where we often went for a Saturday night movie outing. At one point, there was also a charming little travel store on Unquowa Road. 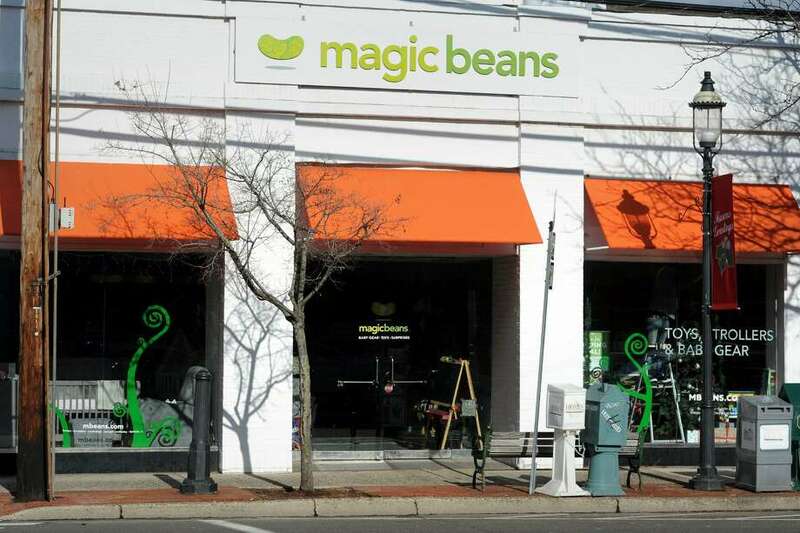 Sadly, the Fairfield Store closed and some commercial establishments such as Victoria’s Secret, Chico’s, Ann Taylor Loft have replaced it, along with Apricot Lane Boutique and Magic Beans, a charming children’s store. And all these stores offer us choices that we might find at the various malls. And the drive downtown will save shoppers the gas they would use going to the mall. Because so much has changed downtown, I decided to take a short downtown tour as I planned this column. I made some wonderful discoveries. For instance, on Unquowa Road near the railroad station, I passed by No. 299, Fresh Flower Bar, and Catch a Healthy Habit Cafe, a charming gluten-free and vegan restaurant. Swim N Surf and Salt Water, clothing stores, were also welcome discoveries. Donnelly Walk, named for the wonderful jewelers who were killed many years ago when their store was robbed, used to have several charming stores, including a beading and craft store that my wife and I visited often. Sadly, that shop is gone. And when I walked through Donnelly Walk, I found several other empty spaces, which I hope will be filled in the new year. Glancing toward the train station, I saw Bee Hive, which looked to be a charming place. On the corner of the Post Road are the Snappy Gator and La Moda for chic apparel. And around the corner toward the train station, I spotted the Perfect Pair, an eclectic jewelry shop. B Good, a new restaurant, moved into the old Las Vetas space on Post Road. Las Vetas is now on Unquowa Road. On the corner of Ruane Street and Post Road, I noticed a cute store, Glitter and Grime, in the space where a gallery used to be. Another growing shopping area near downtown is the Brick Walk. While several different establishments have gone into the east end of the Brick Walk shops, I was pleased to see that Joseph A. Bank men’s clothing, a bike store and the Vintage Garden, a delightful boutique filled with wonderful treasures are still there. Of course, I couldn’t resist the opportunity to stop by Joseph A. Bank and browse. I was pleasantly surprised to find that Black Friday sales offered some beautiful sweaters, shirts and pants that had been radically marked down from more than $100 to $29, $39 and $49. Don’t miss that store, especially for the holidays. As good as local Fairfield shopping is, there are still a few gaps, which I’m sure will fill in over the next year. A drive or a walk around the central downtown area reflected these gaps. For instance, right next to the Fairfield University Bookstore where I work, we lost Banana Republic a couple of years ago and that space remained vacant until just recently when a health spa took. It’s scheduled to open soon. I hope that more establishments will be opening, especially in places like Heritage Square and Donnelly Way. I absolutely hope that holiday buyers will follow Mike Tetreau’s, Mark Barnhart’s and Beverly Balaz’ lead and shop local in Fairfield. I’d suggest that folks mark their calendars for the Holiday Shopping Stroll on Dec. 6, stop by the Fairfield University Bookstore for cookies and Christmas carols and seize the opportunity to help local merchants and truly enjoy downtown Fairfield at this magical time of year and in the future.